← Don’t Read Me! Watch the Video! Not too many people think of outer space when you mention that State of New Mexico. Yet, in many ways, New Mexico is where much of the future came together. First there was the Manhattan Project at Los Alamos, followed by the first atomic blast in the Jornada del Muerto, code-named Trinity. Then there was the nearby White Sands Missile Range. And don’t forget the Karl G. Janski Very Large Array (VLA) of the National Radio Astronomy Observatory (NRAO) just west of Socorro. 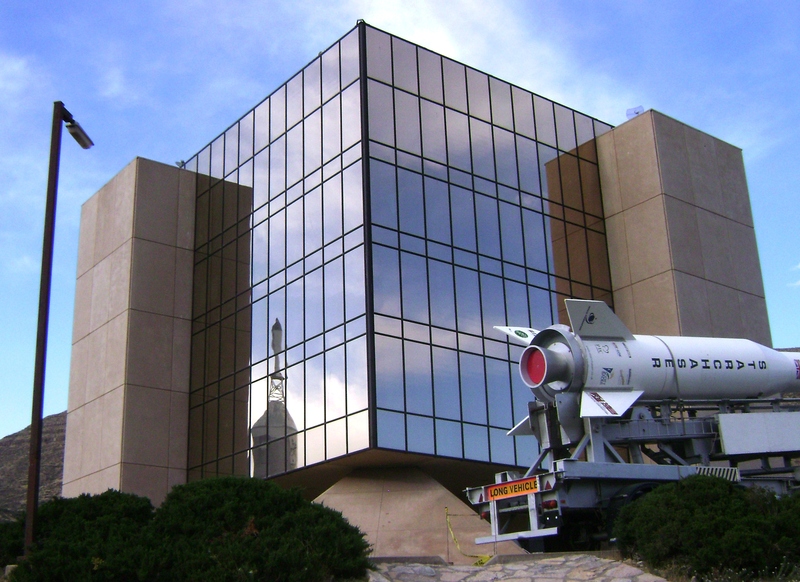 When Martine and I last visited New Mexico, we stopped in at the New Mexico Museum of Space History in Alamogordo to view their four floors of exhibits ranging from the early days of rocketry to NASA, the moon, and beyond. The mirrored glass cube seemed to us like a visitor from outer space and put us in the right frame of mind for the two or three hours we spent there. If we keep to our tentative itinerary, the museum will be our last stop before returning to Albuquerque and flying back to Los Angeles. This entry was posted in travel and tagged alamogordo, new-mexico, socorro, very-large-array. Bookmark the permalink.